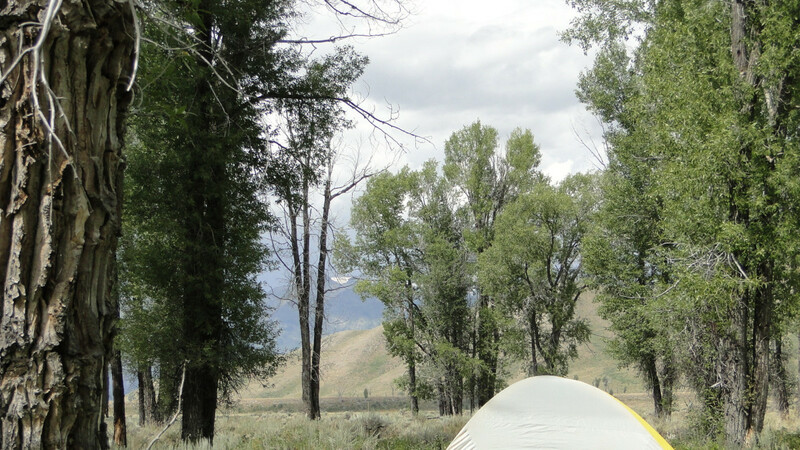 The Gros Ventre Campground is the closest campground to the town of Jackson (approximately 9 miles Northeast). 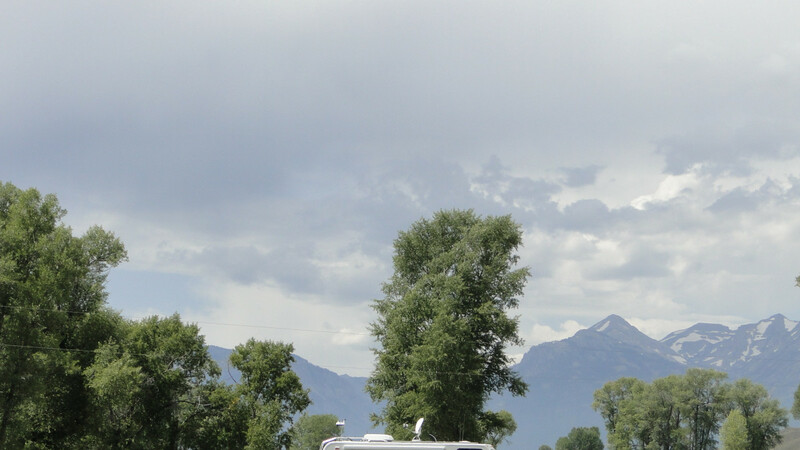 Surrounded by cottonwood trees, bordered by the Gros Ventre River, and with views of the Grand Teton Mountain Range this campground is truly magnificent! 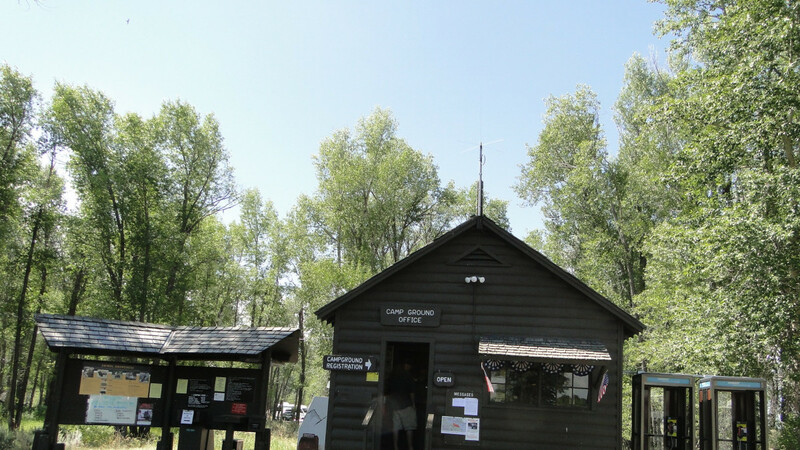 All campsites include a picnic table, fire pit, and nearby bathrooms include flush toilets, with cold running water. Shower facilities are located in the surrounding area, but not on site. Individual campsites are available on a first-come, first-served basis. Campsites typically fill by 3pm or later, if at all. 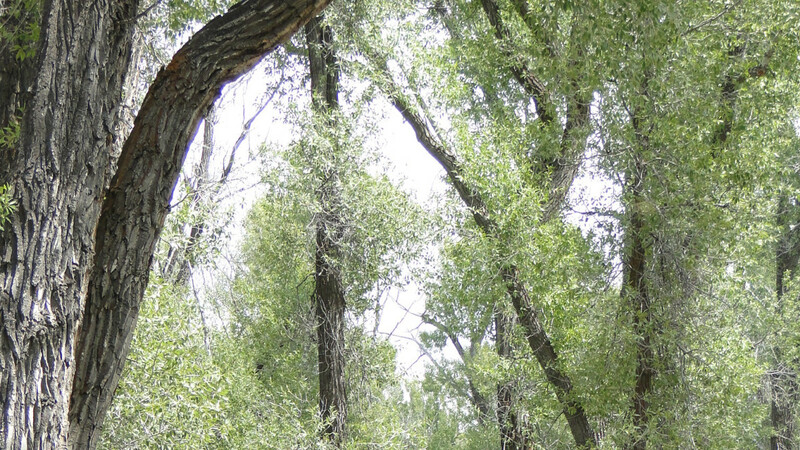 Group campsites are available for groups of 10 or more, and mainly accommodate tent camping. Group sites can be reserved in advance starting on January 2nd of each year. 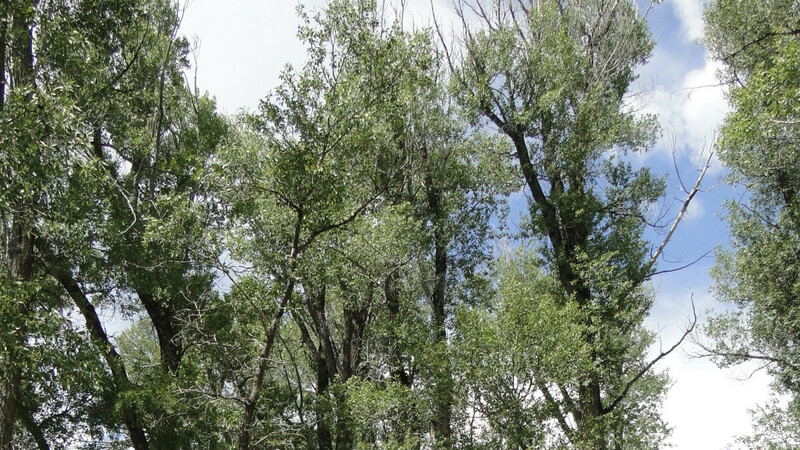 The Gros Ventre Campground is open early May to early October.